Are you considering who will you buy from? There is a lot of companies selling OBD-II related cables or tools. Even if you decide not to buy from us, spend one minute and read this page. It will help you to choose product you will be happy with. Many cables are RS-232 only and require COM port, which is rare on modern notebooks/netbooks. 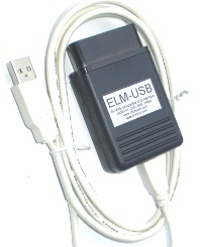 With us there is no need to hassle with USB to RS232 converters. We provide support for all OBD-II protocols and physical layers. There is a lot of interfaces based on cheap China-designed&made OBD2 connectors. These connectors do not fit into some vehicles (e.g. some VW Passats). 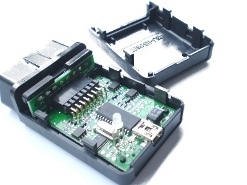 We use high quality OBD2 connectors/housings made by Sensolutions (they are 6-9 times more expensive compared to low-cost Chinese products). Our connectors are tested to smoothly fit into all vehicles. We provide 2 year warranty on our products. We're in automotive business since 2002. We're not resellers, we are software developers and hardware engineers! Our pricing is competitive even to similar lowest-cost products due to almost fully automated production process. It is possible to replace CAN-BUS (e.g. PCA82C250) or ISO9141 transceiver (e.g. Si9241) with low-cost generic parts. Such circuits are usually not protected against failures and do not meet standards requirements. We use automotive parts with over-voltage, over-current and temperature protection. Our manufacturing process is almost completely automated and requires minimum human work. Almost all components are SMD mounted, there are no fragile hand-soldered cables. All our products are electronically tested during production (unassembled circuit boards e-test), and after completion (electronical test of all components).